We simply cannot let the issue of the handbag that Kanye West gave Kim for Christmas pass by without comment. Granted, Kim may be tough to shop for- because she seems to already have everything – materialistic, that is. 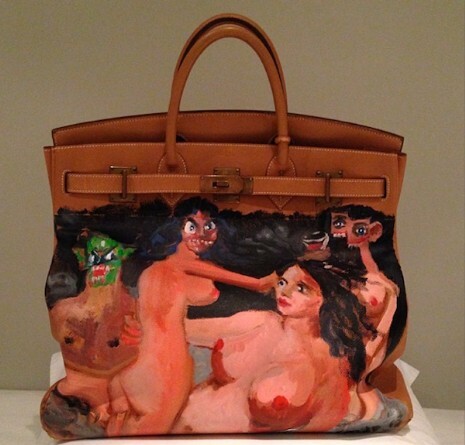 Kanye was determined to show both his generosity and the “artistic edge” he claims to have acquired, so he took a $16,000 Hermes Birkin bag and had artist George Condopaint on it. Condo’s work has been known to sell for a million dollars, but this looks like an atrocity to us. We think he ruined a perfectly nice bag, but Kim says she loves it and posted this photo on Instagram.